Missouri River Timber has specialized in the production of non-structural, hollow timbers made from real wood. 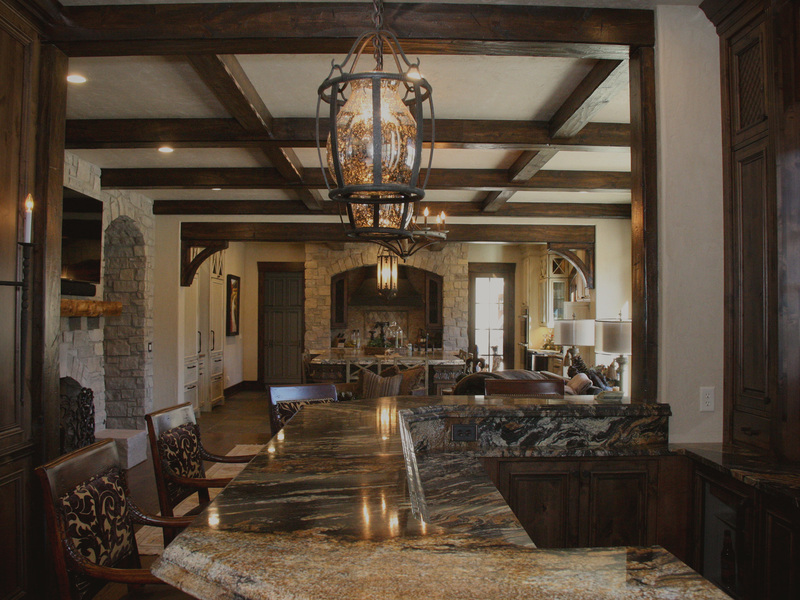 With extensive knowledge in the areas of architectural artifacts, finish carpentry, wood flooring, historic preservation, furniture making and wood refinishing, Co-Founders Steve Lauer and Dave Brinkmann started Missouri River Timber to meet the demand and request for a product that addressed both the remodel and new construction markets for hollow wood beams. 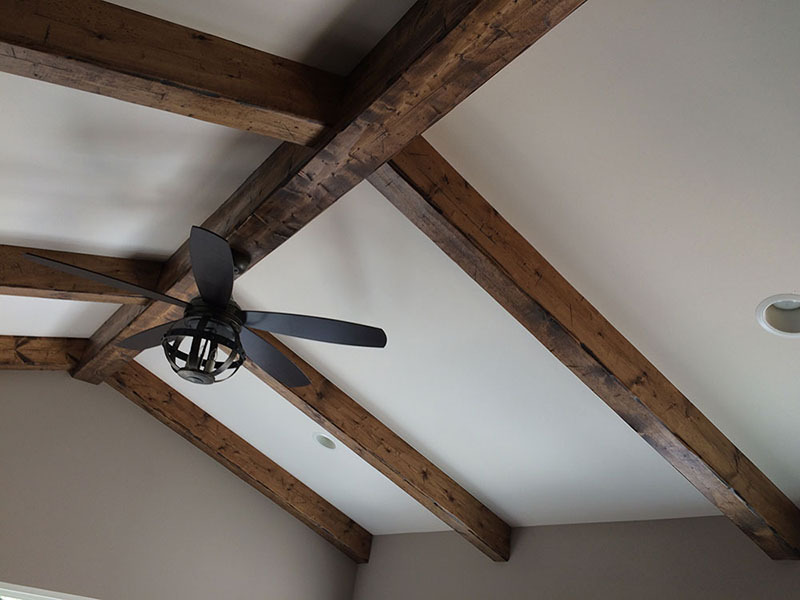 Forget about the weight and burden of solid timbers and choose from Missouri River Timber’s Daniel Boone Series or our Lewis and Clark Series of pre-stained, pre-finished, hollow, real wood beams to make your wood projects go faster than ever. When you cut out the weight of solid timbers, you cut out the labor rate associated with “heavy lifting”. Available in 2, 3 or 4 sided beams you can now add depth and warmth to any room by paying only for the sides that reveal! Where two walls meet—choose 2-sided beams. 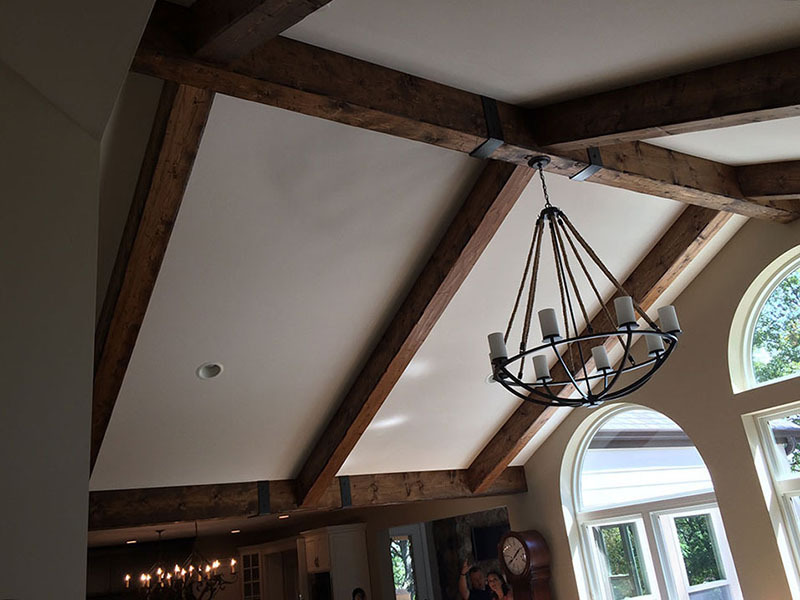 When placing beams on ceilings—choose 3 sided beams. Where open trusses are visible from all sides—choose 4 sided beams. Reduce cost and Be Green by paying only for what you see. We incorporate our exclusive 6-Step production and finishing process in a variety of colors to mimic the look of solid timbers that have aged with a patina that looks hundreds of years old. 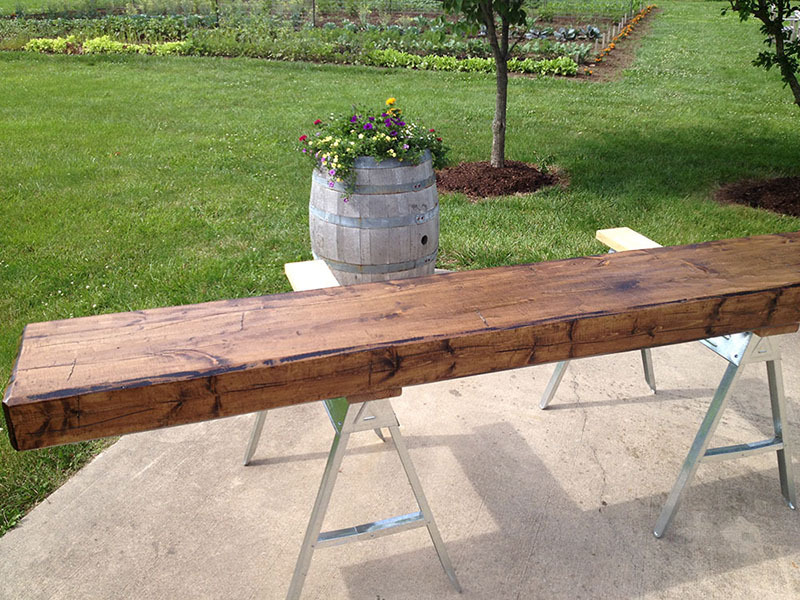 By utilizing our unique approach to hand-scraping, wire-brushing, distressing, staining and finishing, we are able to perfect the look of ancient timbers made from newly harvested wood. 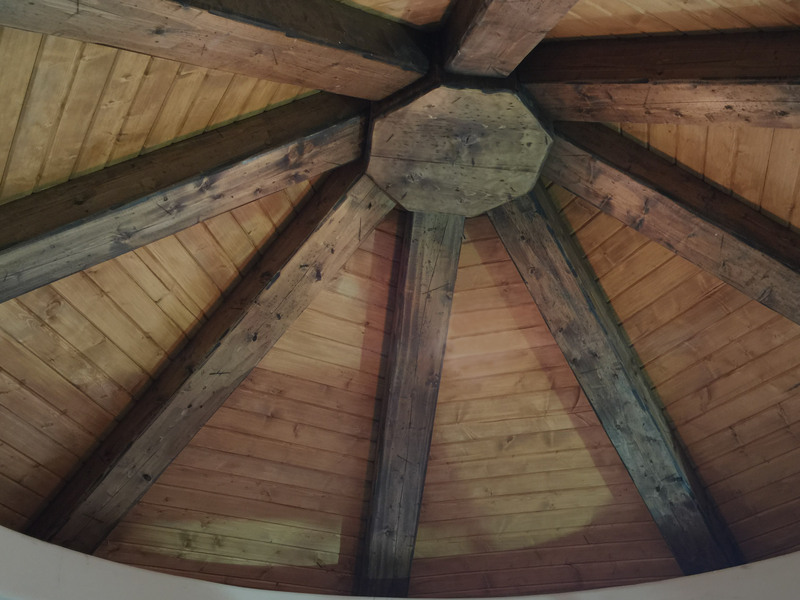 Unless otherwise specified, all materials used to produce our series of beams come from our exclusive source for Historic Sugar Pine which has been cut, kiln-dried and shaped to our specific standards. 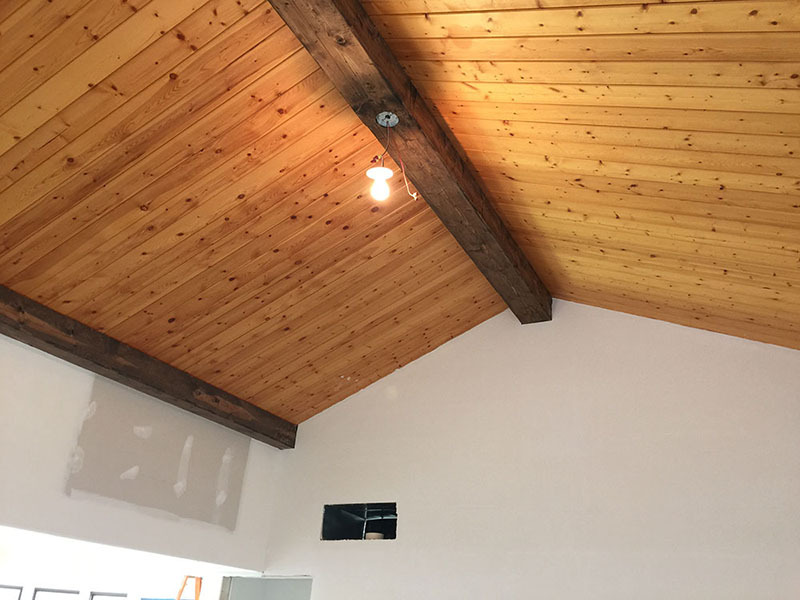 MRT saves your thousands of dollars by offering pre-finishes so that you do not have to contract with a painting contractor to finish your beams after they are installed. 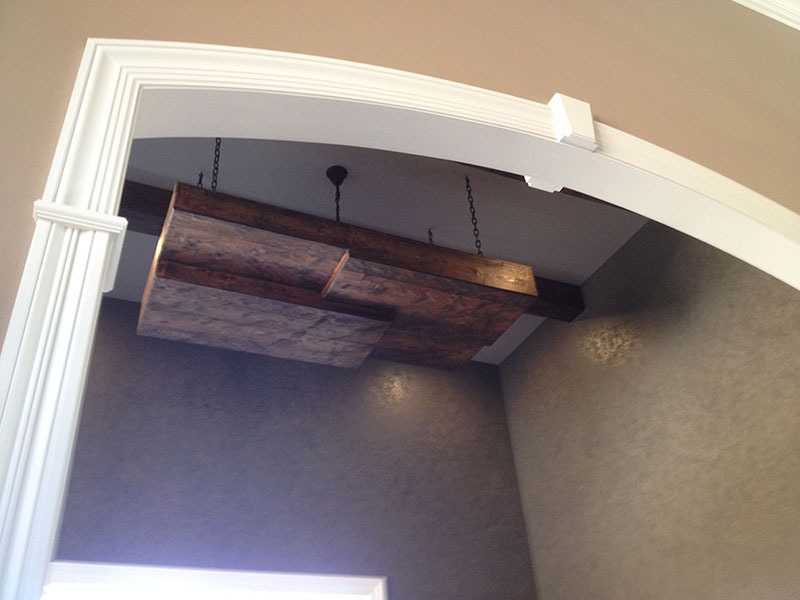 Additionally, as a great benefit to being hollow, our beams allow clients to conceal all types of overhead “eyesores” including: low-voltage lighting, speaker and alarm wiring, piping of all types, water lines, flexible gas lines, over-head refrigerated beer tap lines and much more. Featured, in many Award Winning homes we have shipped products throughout the United States and Canada. MRT uses ¾”select (NELMA) approved Eastern tight-knot pine that is air and kiln dried to 6-10% MC (moisture content) before production. 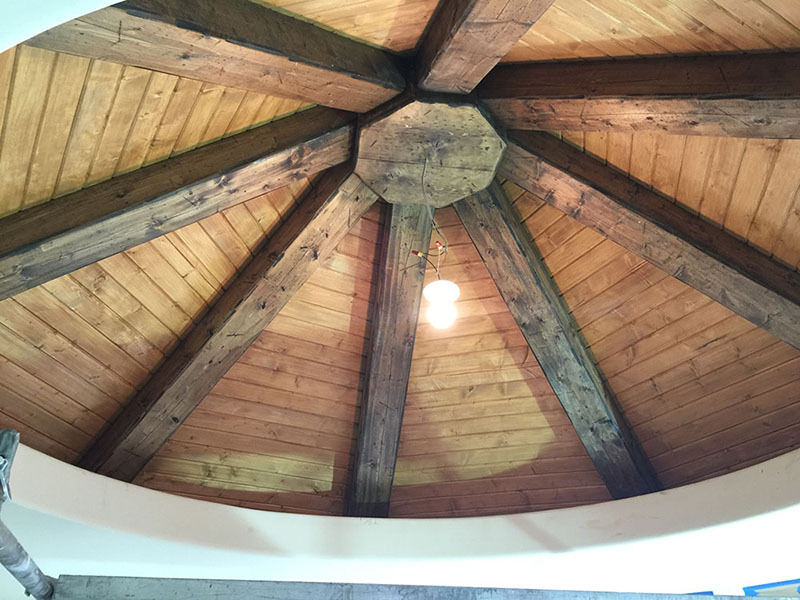 We incorporate VOC compliant stains and exclusive and environmentally safe water-based TimberCoat™ polyurethane to clear coat our real wood timbers in three attractive colors to replicate time-aged patinas and an antique look. At MRT, real wood materials are used in every hollow timber we craft. We enhance the beauty of your home by giving your residence the look of timbers that are centuries old. We have been engaged in projects that include grand halls, entry ways, hearth rooms, great rooms, country clubs, lower-level finished basements, cottages, retreats, ski villas, Rocky Mountain cabins, French country, English cottage and Early American style homes. Whatever our motif or look, MRT wood timbers can help you transform you home from “everyday” to something special the neighbors will envy. The history of timber-frame construction dates back to Roman times. 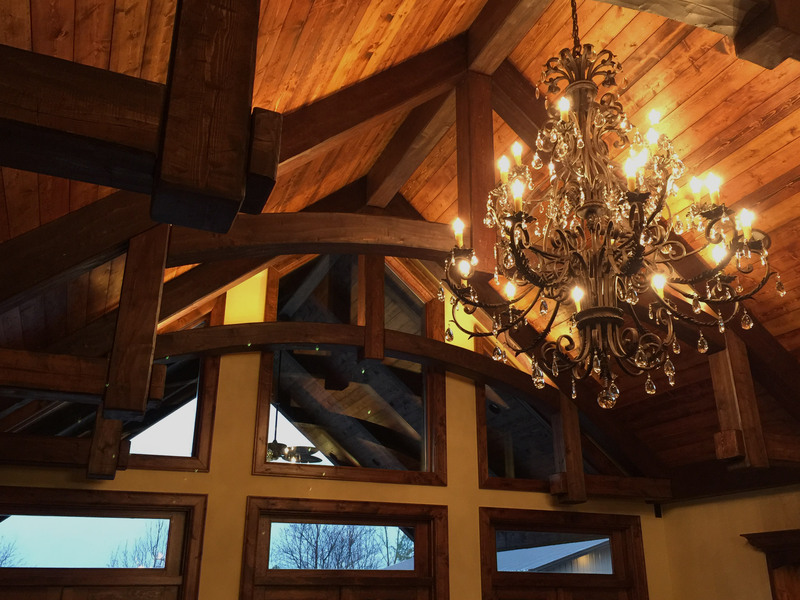 Europe and American craftsmen have utilized the look and feel of exposed timber frames for almost 300 years. Since the founding of Jamestown, Virginia American craftsmen have recognized the structural and aesthetic integrity of timber construction. At MRT, we allow you to utilize this timeless look without being burdened by solid-timber construction. 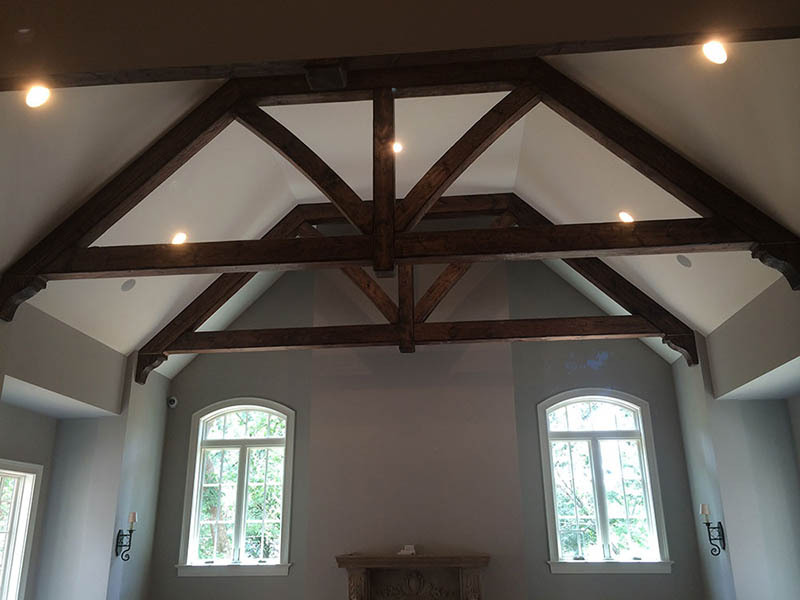 These lightweight timber-beams give you the look of real without the weight of real, so that you do not have to stress over the architectural details of supporting thousands of pounds of weight. We want to make your construction experience stress-free and easy. 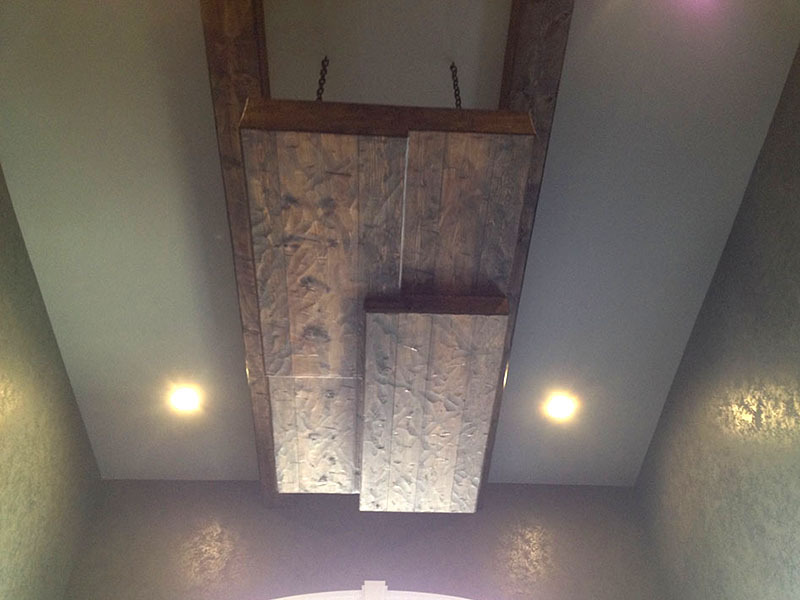 Allow MRT to offer you two, three or four sided timbers to meet your architectural detail needs.